ABC Fire Equipment offers our full services to all of Charlotte County. 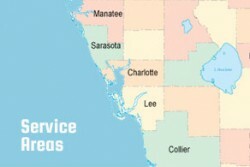 For over 30 years, we have provided unmatched service to Charlotte County, Florida. We provide a full range of fire products and services that we can customize to meet your needs. Look no further than ABC Fire Equipment.